Kingfisher Lodge sits away from the main lake and overlooks the smaller Kingfisher Lake. It is the most secluded of all the lodges, particularly when the foliage is in full bloom, and is preferred by those guests who want a little more privacy (it is very popular with honeymoon couples). In Winter, when the leaves have fallen, the main house is visible but not intrusive. 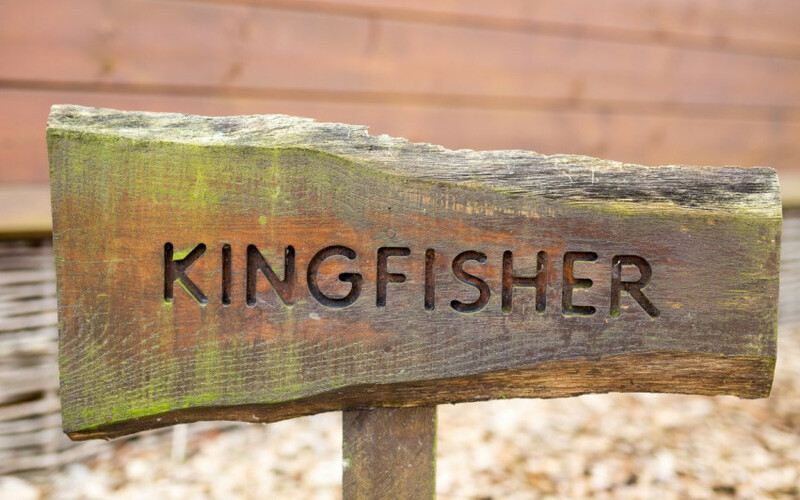 Kingfisher Lodge offers a peaceful and relaxing environment for those wishing to take advantage of the tranquil surroundings. Private, secluded hot tub to seat 6 persons. Large, decked patio area with outdoor dining table. Kingfisher Lodge has everything you could possibly want from your own private log cabin. It has achieved a 4 star rating from Visit England and has been awarded their prestigious Gold Award in recognition of exceptional quality.